"It was Thursday, September 29th, and I woke up completely exhausted. The sun was shining but if felt gloomy to me. I hadn't had much sleep the last week. My family was experiencing a tsunami of turmoil and confusion, and we were so drained from facing the threat of violence. I felt sick to my stomach, not like the flu, but like you know in your heart that something is terribly wrong…" What was terribly wrong would be an average American family struck with a blow so fierce that it would change them forever. An illness gone untreated, desperate pleas for help that would never come, and a devastating consequences that would leave everyone involved grief-stricken and stunned. 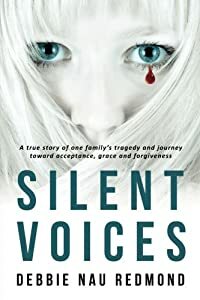 Silent Voices is a suspenseful and heartfelt saga about a family faced with tragic consequences. Desperate for answers, they would be left to lie in wait for the inevitable. A son’s decent into darkness and delusional rage would send him into a rampage that would shake a family and community to its core. Silent Voices will pull you into an emotionally gripping story of one family’s plight to save their son and endure the ultimate betrayal. It’s a story of love, forgiveness and commitment to family that must be told to give “voice” to those silenced that terrible day. 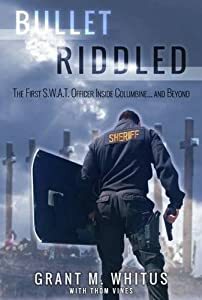 More than just a retelling, Bullet-Riddled is an in-depth look at the day-to-day of S.W.A.T and focuses on the men and women who inherit so much pain to keep us safe.Nowhere is this more apparent than in the aftermath of the Columbine tragedy. The following days saw major changes within S.W.A.T. Men cracked, leaders folded and the entire country demanded changes. But these changes, like all reforms, met with stiff resistance from the old guard. Friendships turned into rivals and the infrastructure of S.W.A.T began to unravel. As resignations piled up, Grant rebuilt the entire team from hand-selected recruits. He finally had his elite team, one that would face new demons and disorders. 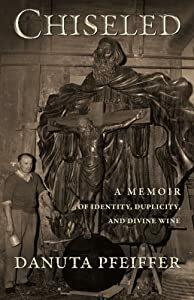 Book Award Finalist 2015 Readers' Favorite International Book Awards Biography: Non-Fiction. Book Award Finalist 2014 USA Best Book Awards: True Crime Non-Fiction. Not your typical cocaine cowboy! Buccaneer is the stimulating true account of the life and times of Jack Reed, an All-American boy turned drug smuggler; turned Robinson Crusoe, then prison inmate. 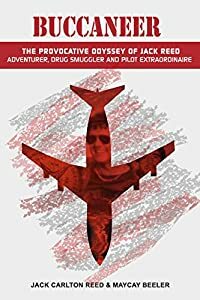 For the first time, Jack Reed discloses his extraordinary, tabooed journey as a high flying international cocaine smuggler and personal pilot for Carlos Lehder, partner to Pablo Escobar of the Medellin Cartel. Reed flew drug runs for Lehder who handled transportation, while Colombian drug lord Escobar handled production and supply. Lehder's cocaine transport empire was based at Norman's Cay, an out island in the Bahamas. Having gained notoriety in the late 70s as a staging point for drug smuggling, Norman's Cay was immortalized in Blow, a 2001 motion picture starring Johnny Depp. Reed lands in court as Lehder's co-defendant in the longest running drug trial in U.S. history. A non-violent offender, Reed becomes the victim of a tragic judicial sentencing mistake. Tired of being hounded by media, Reed denied all interviews until pilot/journalist MayCay Beeler contacted him in prison. At that time, she had no idea she would become his coauthor and a character in his infamous life story and twist of fate ending. Fans of Netflix Narcos, Cocaine Cowboys and American Made movies may be surprised by this raw, bold and honest personal true account. Not what media led us to believe. "Buccaneer" is a true story that does not blur fact with fiction. I’d fallen tragically in love with a man who was always just out of reach. I knew two things for certain. Levi was the man I could never live with. Grant was the man I could never live without. How could I have known that one night would find a way into his heart forever? What I thought was over… hadn’t even begun. *Prepare to love it or hate it. Not for readers under 18, not for readers who can’t stomach real life affairs and why they happen, not for readers who like to settle in and get comfortable. This is a cringe worthy, heartache inducing true account of a real life affair that will leave you with no doubt that true love really does exist. • "Riveting account of actual events and their startling twists and turns." • "Haunting psychological cliffhanger of terrifying abuse, unrelenting brainwashing attempts, and one child's determination to survive and thrive." Arthur M. Bodin, Ph.D., ABPP Former President, Division of Family Psychology, American Psychological Association "A gripping account of the effects of a child's continual trauma and her struggles for physical and emotional safety. Tracy May balances the horror of relentless threat and fear with acts of kindness from others. A courageous and inspirational story filled with huge characters and major legal precedents. Once I started reading the book, I could not put it down. As a psychologist, I recommend this exceptional addition to the understanding of trauma and recovery." Joseph Keenan, Ph.D. "A child's terrifying journey through severe and pervasive family dysfunction and many forms of child abuse, including parental alienation. The story reflects a keen understanding of coping with adversity. 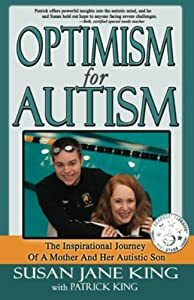 A powerful and moving testimonial to the strength of the human spirit and a must read for anyone moving on from a stormy past." 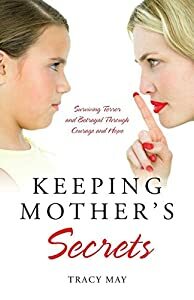 Andrew Newman, M.D., FCCP Keeping Mother's Secrets is a gripping memoir of a child's courage to survive terrifying physical, emotional and sexual abuse. It has many unpredictable twists and turns as the child, Tracy, clings to hope and finds a way to thrive. This brave, honest and graphic account is enhanced by legal documents and the memories of others who were involved. Keeping Mother's Secrets is an inspirational read that will engage, enlighten and fascinate the public. It also offers hope to those who have suffered abuse and trauma. 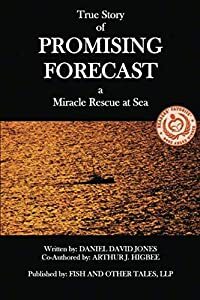 Promising Forecast is the true story of five men who start out on a well-planned and exciting deep-sea fishing trip that quickly turns into a harrowing experience. Without any warning, their boat suddenly sinks thirty miles offshore. Shocked and disoriented, they find themselves stranded and helpless in the water for almost nineteen hours with only lifejackets and a strong will to live. Each man reacts as the realities of danger and death confront them. They share their fears, thoughts and feelings while facing challenge after challenge as they struggle to survive this seemingly hopeless situation. Against overwhelming odds, all five men are miraculously rescued and the authors live to tell the tale of their physical, mental and spiritual experiences ... and how it has affected their perspectives on life today. A good read for men, women and young adults alike. A woman is running for US President! Socialism is gaining ground in America, and a campaign is underway to redefine marriage, causing a culture war between Christian leaders and feminists. It is 1872, and Victoria Woodhull is leading the radical faction of the women's rights movement with Susan B. Anthony and Elizabeth Cady Stanton. On the other end of the spectrum, more philosophically aligned with Lucy Stone and Mary Livermore, a movement that would put women into the pulpit worldwide is being launched by Mary Baker Eddy, who staunchly defends the Christian view of the sanctity of marriage. In the decade after the American Civil War, reformers wanted to fulfill the promise of the American Revolution by giving both blacks and women the right to vote. Legal changes needed for woman suffrage seemed to shake the foundation of the male-female relationship. Disagreement over the implications of women's rights for sexuality triggered a political, legal, and religious battle for the soul of marriage. 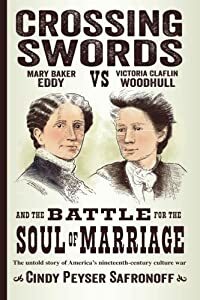 CROSSING SWORDS explores the contentious free-love movement through the love lives, careers, and public statements of Mary Baker Eddy and Victoria Woodhull, who came from completely different backgrounds and had polar opposite views on marriage and sexuality. This thought-provoking story is a surprisingly relevant prequel to the similarly divisive social issues of our own era. In four volumes of Blood on the Stage, Amnon Kabatchnik examined more than 400 crime-themed plays produced in the 20th century. As any theater lover knows, however, depicting acts of wrong-doing is not a recent phenomenon. The stark, violent plays of Seneca in ancient Rome were followed by liturgical dramas of the Dark Ages that drew on both the Old and New Testaments. The golden age of Elizabethan drama boasted masterful plays drenched with treachery, bloodshed, and horror. In Blood on the Stage, 480 B.C. 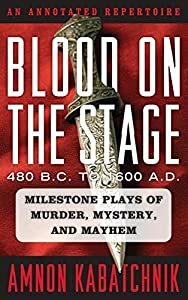 to 1600 A.D.: Milestone Plays of Murder, Mystery, and Mayhem: An Annotated Repertoire, Kabatchnik analyzes more than fifty blood-splattered plays that have withstood the test of time. Beginning with masterpieces like Prometheus Bound by Aeschylus, Oedipus theKing by Sophocles, and Medea by Euripides, this volume spans centuries of equally compelling dramas such as The Haunted House (200 B.C. ), Phaedra (c. 60 A.D.), and The Killing of Abel (mid-15th century). Later works include Thomas Kyd’s The Spanish Tragedy, as well as several plays by Christopher Marlowe and William Shakespeare, notably The Tragedy of Julius Caesar and Hamlet. The plays in this book—a “prequel” to the other four volumes of Blood on the Stage—represent ancient Greece, ancient Rome, the Middle Ages, and Elizabethan England. The entries are arranged in chronological order and include plot synopses, biographical sketches of playwrights and actors, details about productions, and critical reception, if available. From the killing of Abel by his brother Cain to Hamlet’s revenge of his father’s murder, Blood on the Stage, 480 B.C. to 1600 A.D. provides a critical overview of some of the most significant dramatizations of criminal behavior. and gifted public speaker who brings audiences to tears? and Susan hold out hope to anyone facing severe challenges. ...tears were shed while reading this book. I loved it! ....this book has given me lots of hope.